In 1994, Bro. 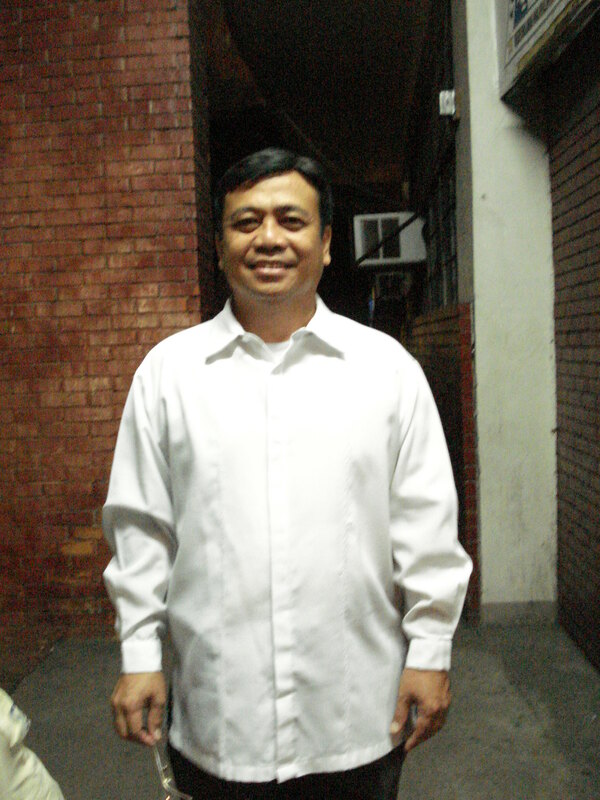 Jerry Solano was suffering from a heart ailment, hyperacidity, and poor eyesight. When his family brought him to the Philippine Heart Center, the doctors there didn’t want to admit him for his disease was highly infectious. They transfered to another hospital, and after he was examined, they found out that he had acute Hepatitis B, and that there was no hope of healing. They went to another hospital inside the military camp where they lived. After examining him, he was told by the doctor that he had probably about one month to live. The doctor advised the family to separate all his things, confine him in a room, and avoid communicating with him. Then, he was sent home. The family locked him up in an ammunitions supply room for soldiers. They put a chain in the door and padlocked it. When they fed him, they opened the lock and left the tray at the door. Because of his illness, he became weak, experienced body tremors, and his whole body had jaundice. Added to his suffering, he also developed insomnia. One day, it was a Tuesday, around 2:00 in the afternoon, he was feeling sick, lonely and hopeless. He taught of ending his life. He opened the drawer and got his brother’s gun. Suddenly, he heard a voice say, “Child, switch on the TV”. Because he knew he was alone in the room, he didn’t pay attention to it. For the second time, the voice spoke again, saying the same thing. Bro. Jerry then stood up and looked around but saw no one. For the third time, he heard the voice again. This time, Bro. Jerry heeded the voice and swiched on the TV. He saw the TV program of the JESUS MIRACLE CRUSADE INTERNATIONAL MINISTRY. He watched the whole program and listened intently to the testimonies of God’s healing miracles. The following day, a Wednesday, Bro. Jerry desired so much to attend the midweek service of JMCIM. He found a steel and smashed the lock of his room, and he escaped. By God’s help and mercy, he arrived in JMCIM worship service. That night, he receieved Jesus Christ as his Lord and Savior and was baptized in water in His name. He believed with all his heart that Jesus will heal him. The next day, he went back to his doctor and requested for another blood test. His doctor explained to him that he has terminal liver disease, and there was no point in doing the tests again. But Bro. Jerry insisted, so the doctor reluctantly agreed. Before Bro. Jerry acquired Hepatitis B, he was heavily addicted to drugs. But the Lord Jesus did not only save and heal him, he also delivered him completely from his addiction to drugs. Bro. 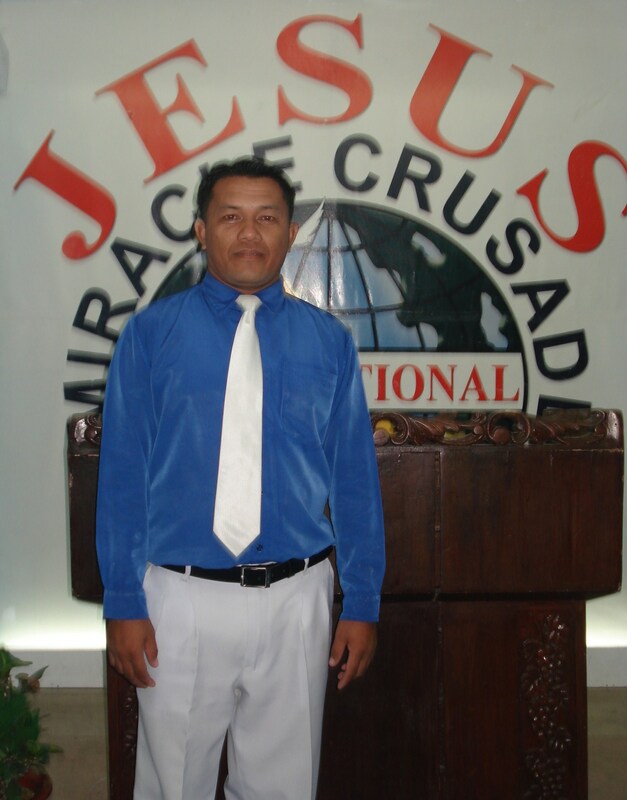 Jerry fully surrendered his life to the Lord and served Him fervently, to this day.